I have a couple of friends who are pretty strong in Chinese and we often discuss about how to teach our children Chinese, the way Chinese is being taught in school, how and why children are having problem with the language and what kind of teaching methods work/not work. 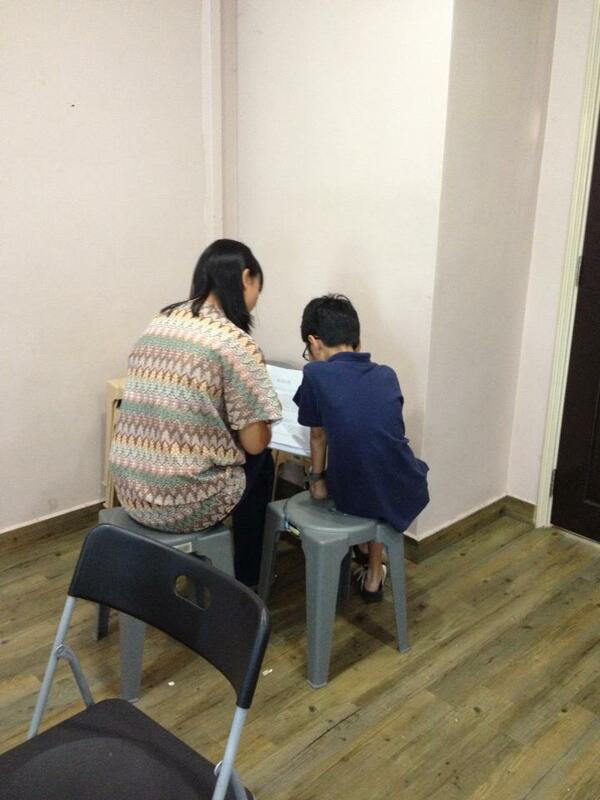 Our kids are not spared from the “scourge of learning Chinese”. The whole environment in Singapore is not favourable. (I recently met a mainland Chinese who has been living here for many years and now a citizen here whose son actually told her “I hate Chinese!”. Imagine that!) We are also fighting a battle like every Singaporean parent. Sometimes, we feel that we are fighting a losing battle also. The upside is that because of our children, and because most of our friends are the typical Singaporean parents whose Chinese “cannot make it”, we understand the struggle and we understand our local children and the difficulties they faced in learning the language. 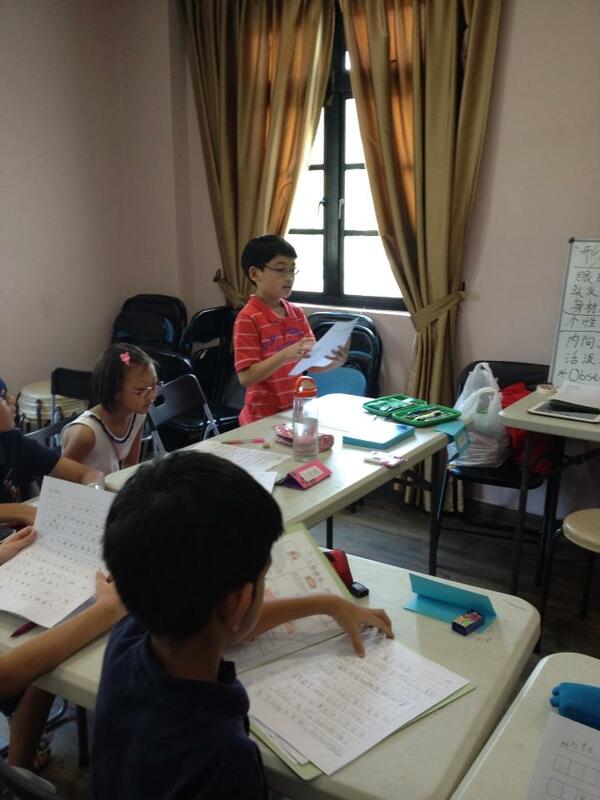 (Ironically, even though native speakers are favoured as Chinese teachers in local tuition centres and preschools, a lot of them may not even understand how a local child’s brain is wired towards the learning of this language.) We “experiment” on our kids and we have our opinions regarding how to teach local kids and we may not always agree with the way Chinese is being taught in school. Finally, we decided to put our thoughts and talks into action. 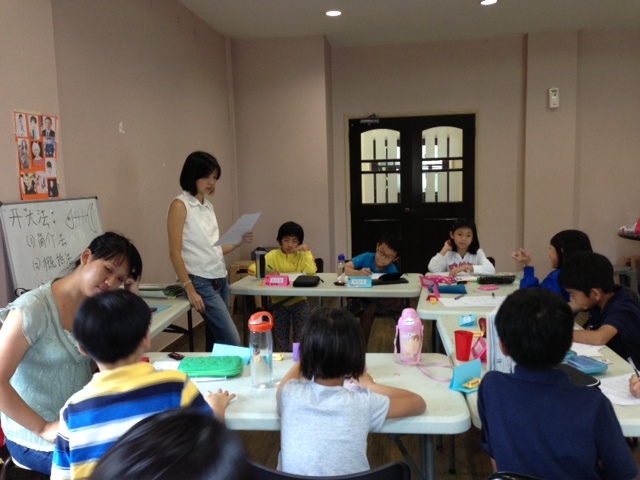 During the first two days of the March Holiday, my friends and I organised a 2 day Chinese Writing Camp for some of our friends’ kids. We wanted to try out our way of teaching composition writing. So we came up with a teaching plan and invited some friends to send their kids to this camp. The response has been positive. We were impressed with the kids because they really worked hard during that two days. We made them work hard. I am really touched and gratified to see that the kids really did try to make use of the things we taught them when they did their writing assignments. Thankfully, after the first day, nobody protested about coming back for the 2nd day’s programme. 🙂 It helped that most of them know each other so they are learning with their friends. They are also very supportive and encouraging towards each other and would cheer their friends on. At the end of two days, we were all very tired but we were all very happy with the camp. I hope the kids did learn something and will not forget what they learned. At the end of the camp, we took some time to explain to the mothers about what their kids have learned over the two days and told them how they could remind their children to use what they have learned in their school assignments. So far, the feedback we received has been positive and we are greatly encouraged. We are already thinking of organising more of such camps and have several ideas for future camps. One of us kept the younger siblings occupied while the class was in progressed. 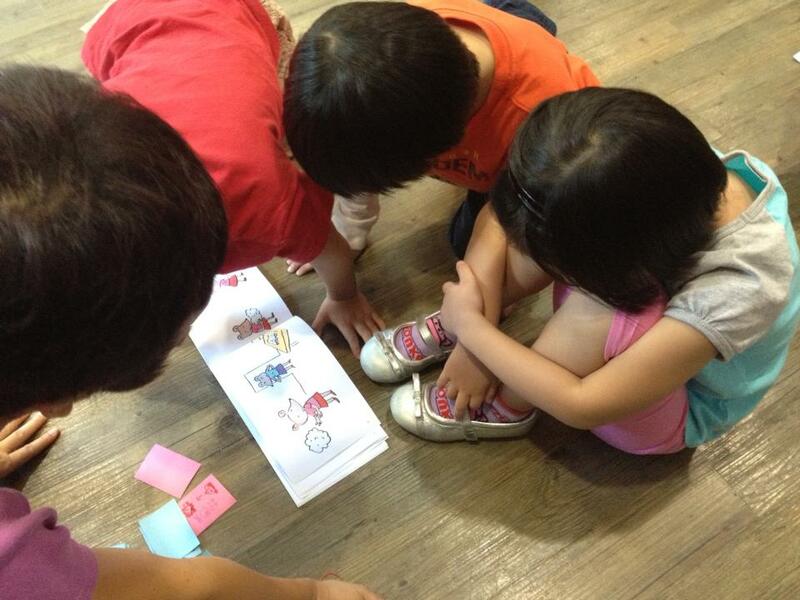 The little ones learned things too! They cannot write but they can speak. Lunch was BYO. 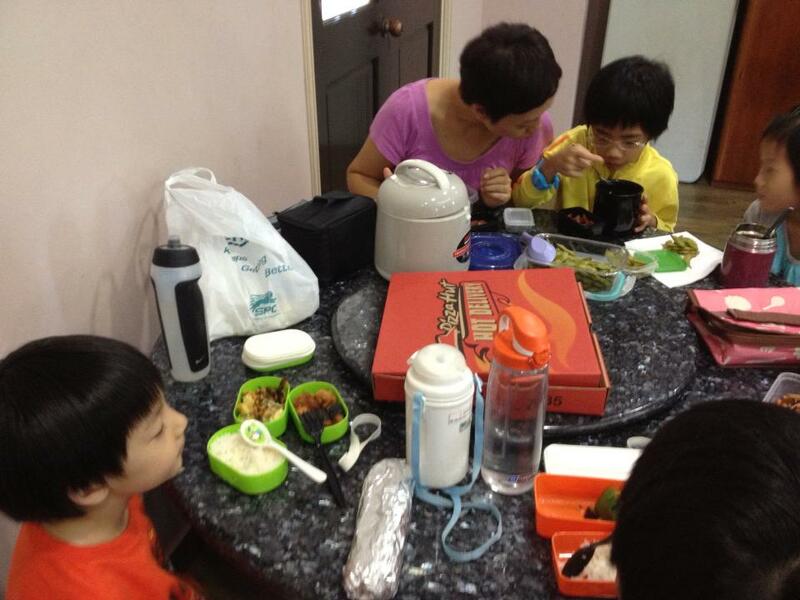 It was also fun for the kids to eat together with their friends! They really enjoyed their lunch time. The ones who needed personalised help get the attention they need. Sharing their work. There were a lot of interaction among the kids. Surprisingly, they did not resist using only Mandarin to carry on their conversations. Of course, they frequently had problems saying certain things they wanted to say but teachers were always at hand to help. Did I mention that we had a 1:3 teacher-student ratio? I will write about it in another post because it may be a bit long to reply here. Will keep you posted when it is done.